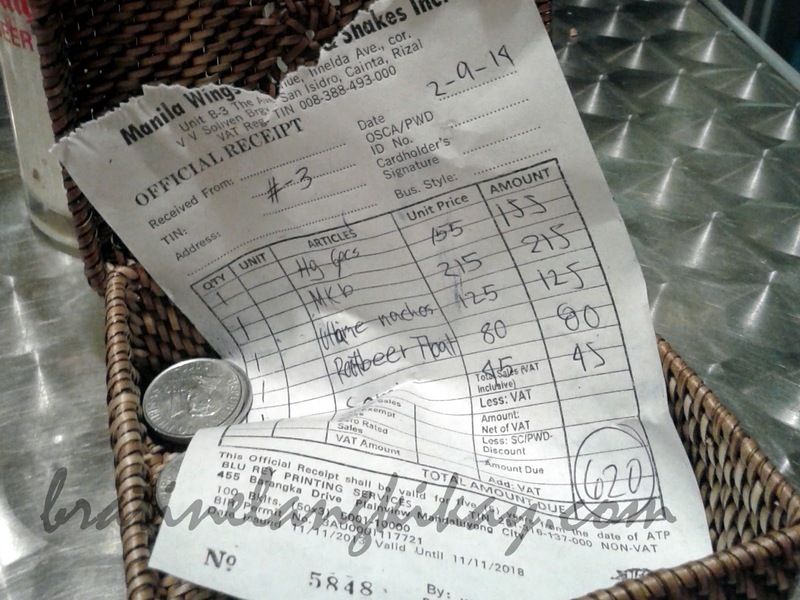 Another unexpected but awesome dining discovery by The Hubby and myself is Manila Wings. It's a small burger joint along Imelda Avenue in Cainta, Rizal that serves comfort food and beer partners like chicken wings (hence the name), burgers, nachos and sausages. The store has limited capacity; if my estimate is right, it could only accommodate only 3 groups of 4-5 people inside. Then there are tables outside which are usually occupied by diners who drink and smoke. 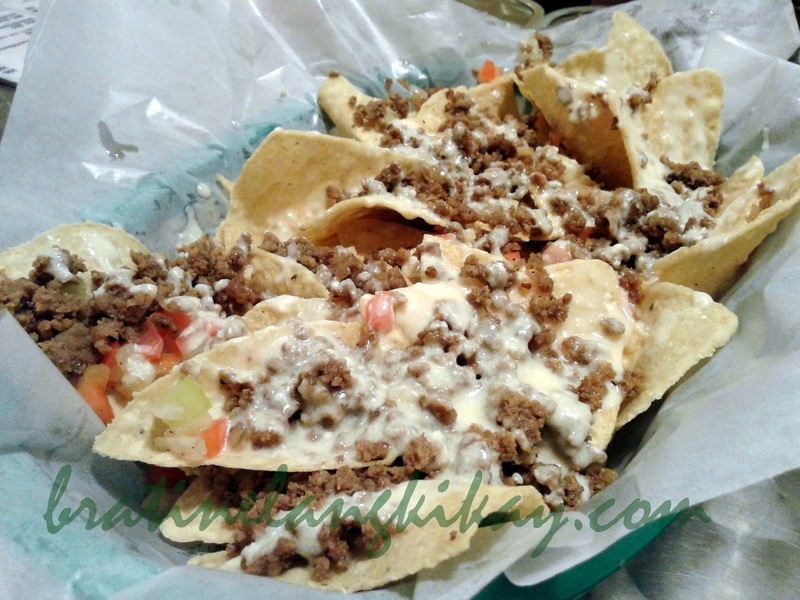 I ordered Nachos which I find really a great deal at Php125. There's so much beef toppings that we've already finished all the chips and we had to spoon the beef toppings left on the plate. Ganun kadami! I wish they'd add more cheese instead. Overall, it's superb! 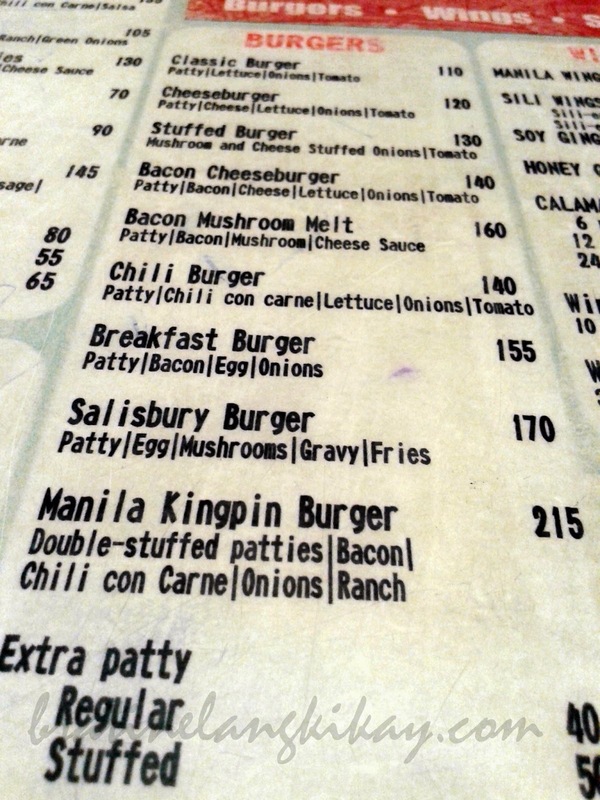 The Hubby ordered the largest burger they have which is Manila Kingpin Burger. Sounds scary, huh? Well, it quite is. I was scared The Hubby would tear the corners of his mouth if he tried to bite into this burger without pressing it down. They obviously didn't scrimp on the ingredients. The Hubby said the burger is good but Bully Boy of Army Navy tastes better. 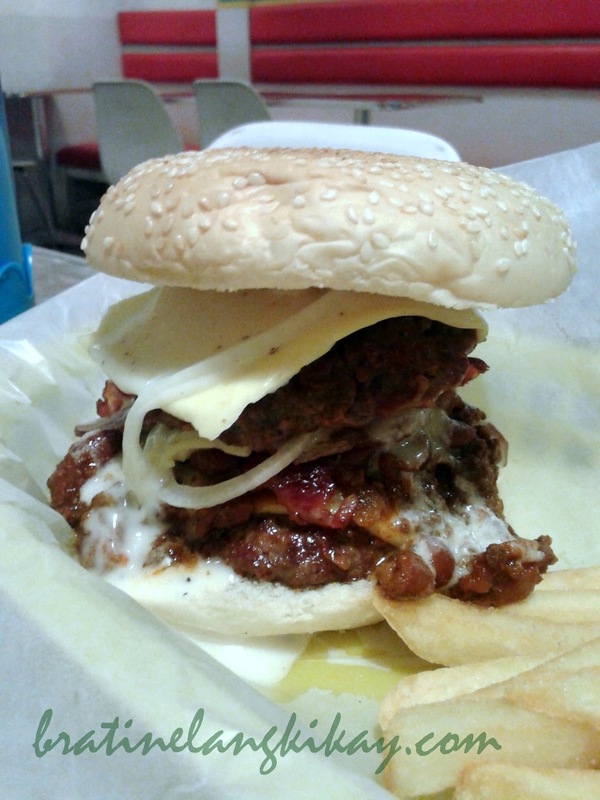 Take my advice, this is best eaten with a fork and a knife as the burger is too tall for a human mouth. Also, the ranch dressing tend to drip. Of course we didn't want to miss the house specialty which is chicken wings and that's what I ordered. I initially wanted to try Sili Wings but I chickened out (pun intended) as it might be too spicy for my taste buds. Instead, I got the Honey Garlic which the server mentioned as one of their best sellers. Sorry, I didn't have photos of the chicken wings (I got a very blurry one that is not worthy of posting). 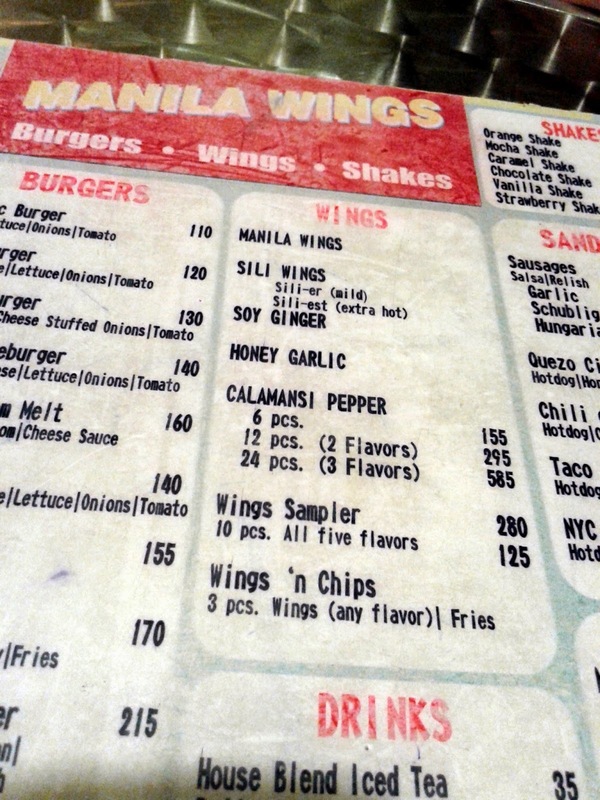 Six pieces of wings of any flavor costs Php155. In my opinion, it is priced quite just right considering 6 pieces is actually just 3 whole wings. The honey garlic wings are just okay; not something I would come back for but it's good. I also like that they provide disposable/plastic gloves so you can use your hands to enjoy the chicken. We had a very good meal here. It's not too expensive for the feast we had and the ambiance was friendly and laid back. I just hope they improve on their stock management because a few of the dishes we wanted to order are unavailable due to lack of ingredients (I wanted to try their shakes but they ran out of ice cream). Thank you for the post! 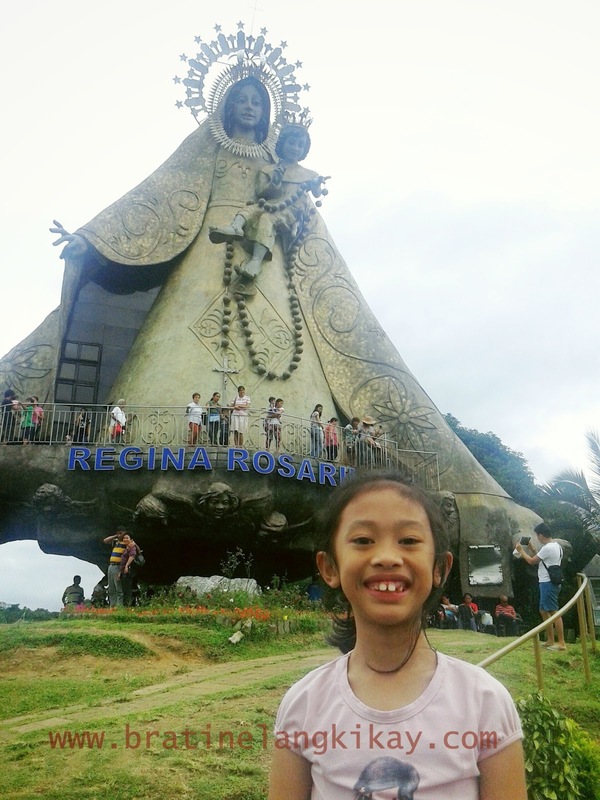 Was looking for any write up about this resto, I love this place, but when I went back it was not there anymore. Anyway, I found out that they are now located at 40 Lilac st, Marikina with a bigger space plus a larger menu of comfort food including steak, and tacos. I'll check it out this weekend. Thanks for the update re the resto's new address. Definitely will go and see the new (and hopefully better) location. Thank you! I checked and he did copy one paragraph. Someone wants to blog but don't know how to end his article...resorted to copying. Eeeew! Petron Value Card, Absolutely a MUST Have!